Tops in reliability and performance. From one of the world's most prestigious and oldest makers, tops in reliability. 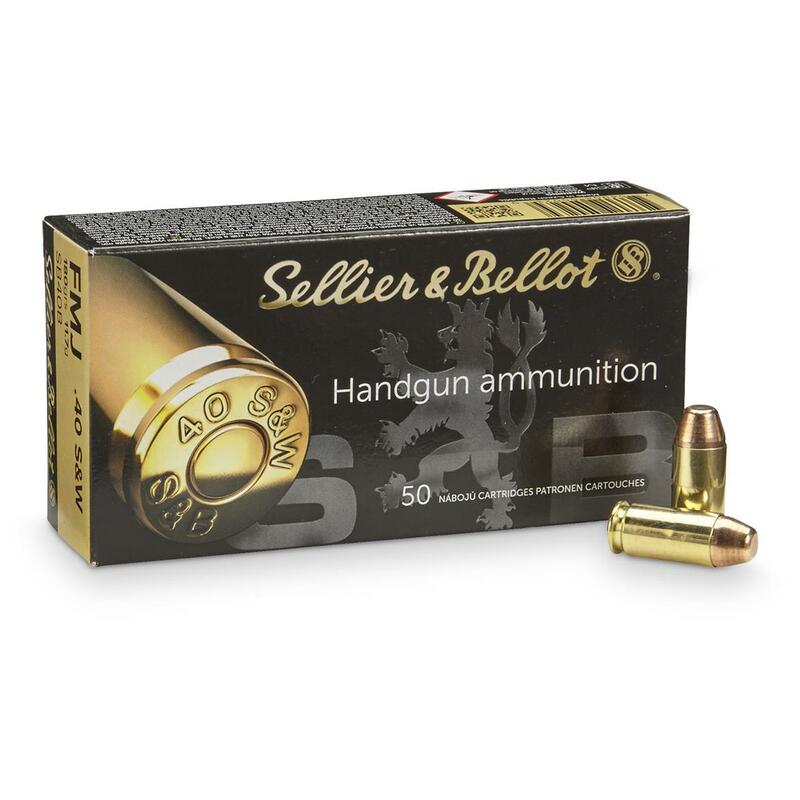 Sellier & Bellot FMJ Ammo strikes the right balance of performance and price. Sellier Bellot Handgun, .40 Smith Wesson, FMJ, 180 Grain, 50 Rounds is rated 4.9 out of 5 by 87. Rated 5 out of 5 by Gman from Love it! I haven't had a chance to use them yet, however will let you know if any problems occur. Rated 5 out of 5 by Fatt from Great Price!!! I bought these shells at a great price compared to walmart and academy sports they were cheaper. I will be buying more from S.G. Rated 5 out of 5 by Bill from A great bargin. This is good, clean ammo. No failures, accurate. Rated 5 out of 5 by MrSluggo from UPDATE to my UPDATE I gave it 5 Stars (and still do), but my previous "UPDATE" shows " "Would not recommend this product to a friend" which is incorrect.I'd not only recommend this to a friend, I'd "borrow" some from a friend at the range if they weren't paying attention. : ' )Good, good stuff. Rated 5 out of 5 by MrSluggo from UPDATE Review Just an update from a previous review:We went out to the range last week and put the S&B's to the test. through our "high end" Hi-Point 40's. Result: AAA+++. Sure, the S&B's aren't "Competition" or "Target" grade, at least they aren't labelled as such. But, as mentioned in my previous review, the fit and finish on these rounds are outstanding AND their performance matches their "looks". Good accuracy, good feed, good eject, and a very important factor, IMO, is that these are VERY consistent from round to round fired. Consistent "pop", consistent recoil. The cases are high quality. We fed each of our pistols with 4 full magazines in what "might" be called rapid fire, and no FTF's or FTE's. 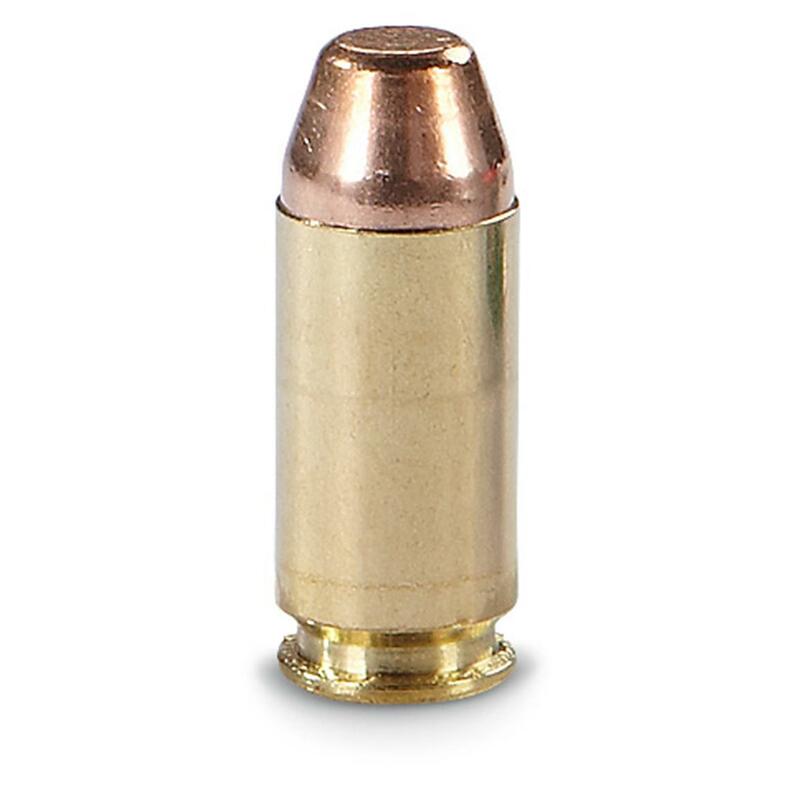 Nice ammo at a decent price. Rated 5 out of 5 by Richard Ell from Good deal I generally prefer RN FMJ, but this is good Blasting ammo, and it's cheap.On-time and fast delivery. Upholding an American shooting tradition.